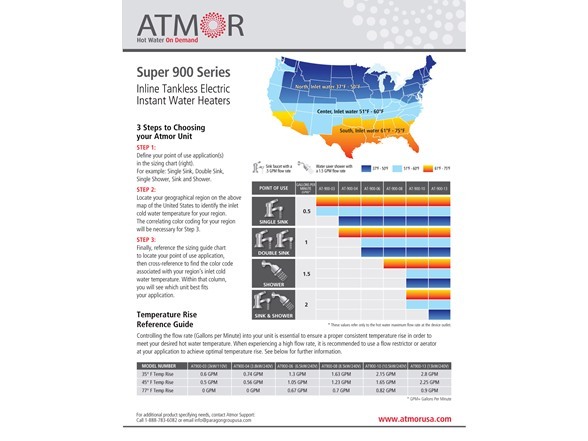 ATMOR 900 series Electric Tankless Water Heaters revolutionize hot water heaters with technology that provides you with unlimited hot water when you need it, without the wait or worry of ever running out. 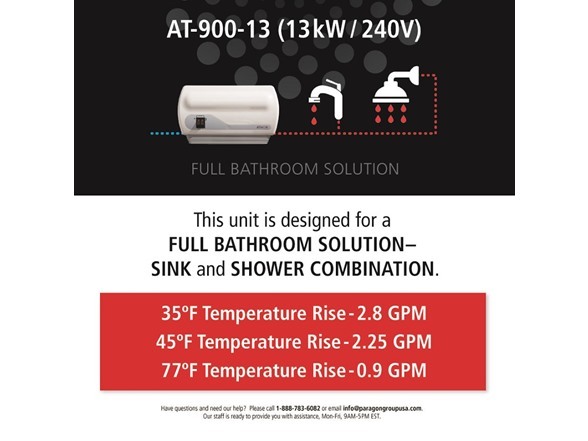 By automatically activating once water flow is sensed and shuts off when it stops, you'll lower your water consumption and eliminating costly water waste. 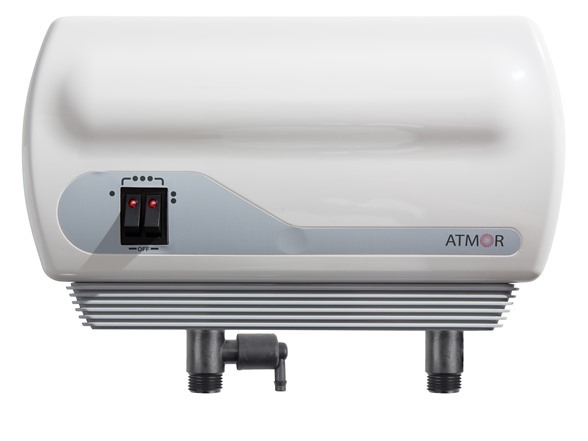 The ATMOR Electric Tankless Instant Water Heater is the eco-friendly, efficient and convenient solution you have been looking for, delivering an endless supply of hot water instantly at the point of use only when you need it. 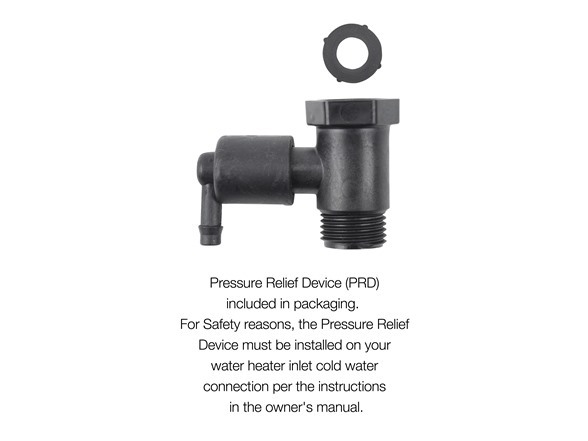 It is suitable for both residential and commercial applications, even in your RV, so you can enjoy a continuous flow of hot water whenever you want. 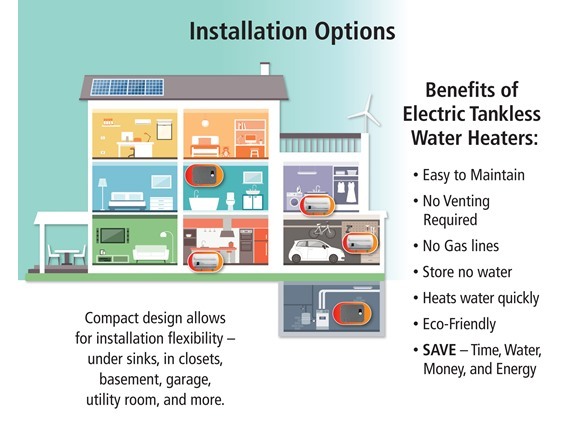 Best of all, unlike a gas water heater, the compact design requires no venting, giving you the flexibility to install anywhere inside your home or garage. The compact footprint of this device can be installed against the wall either under the sink out of sight or near the point of use, where its elegant design blends into your home environment among other appliances. Remember inlet temps vary by location and seasonality. Selecting the right water heater depends on your incoming water temperature, flow rate, and desired output temperature. 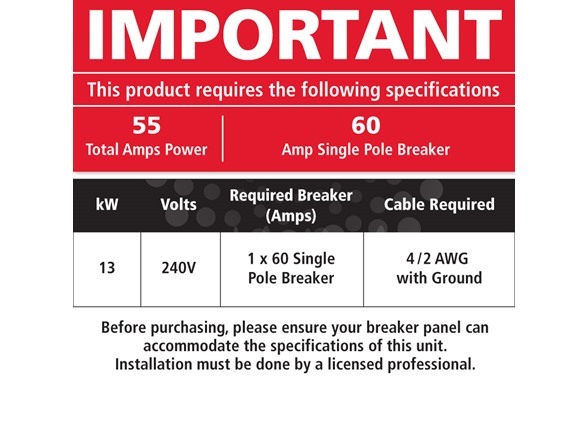 To help with making sure this unit is suitable for your need, please call our support team at 888.783.6082.